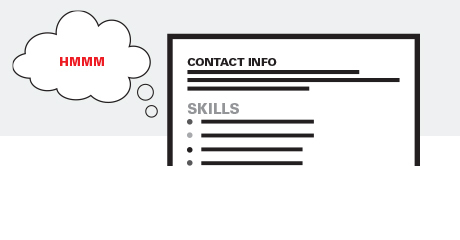 With a polished, competitive resumé, you are well prepared to present yourself for any new job opportunity. 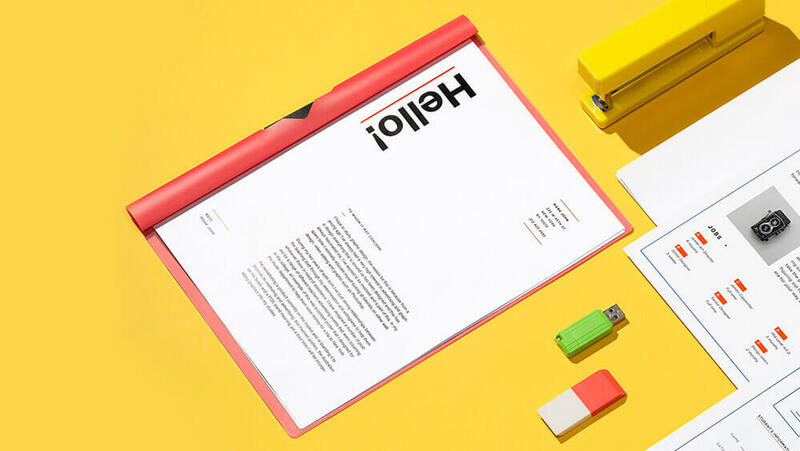 The first step in writing a great resumé is to collect all of your information— experience, education, technology skills, foreign languages, public speaking, publications, affiliations, and more. 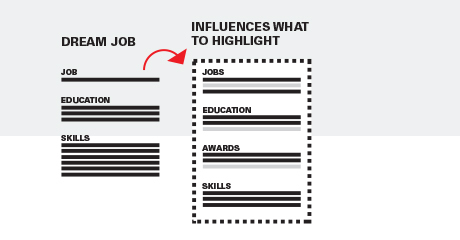 Then, select the information that most closely aligns with your current career goals to emphasize in your resumé. Who you want to be is what drives the resumé-writing process, so let the position you’re applying for, the career track you want to pursue, and/or the industry you’re targeting, influence the points you highlight. Every word, where it’s placed, and how it’s styled (bold, italics, etc.) has a meaning. There is no space to waste on a resumé, so be certain that each entry has a reason for being there. A recent study found that recruiters and hiring managers only spend six seconds on a resumé before determining whether the candidate is a fit for the position. That means that the first page of your resumé must present your strongest and most relevant qualifications – always! Almost all job seekers should use a reverse chronological format, which focuses on employment, relevant experience, achievements, results, and contributions. Begin with your most recent experience and work backwards. Keywords are vital to every job search. 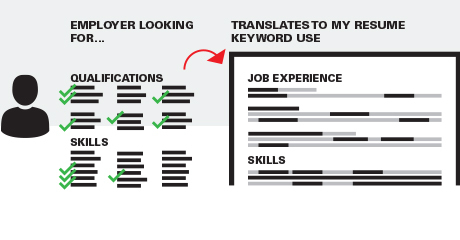 Companies and recruiters use keywords to find candidates and screen resumés. Your resumé must include all the essential keywords for your target positions, or you will be passed over in favor of candidates who seem better qualified because they have the right terminology in their resumés. 7 Don’t Forget about ABBREVS. Some certifications and companies have commonly used abbreviations, so include them, but also spell out the full name for clarity. 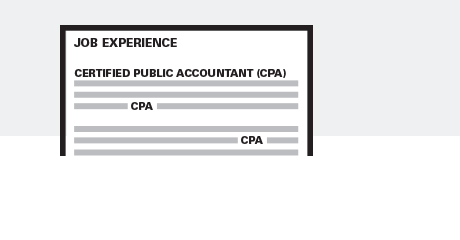 For example, list Certified Public Accountant, followed by “CPA” in parentheses. That way, your resumé makes it through keyword tracking systems in both cases. Good writing is simple, straightforward and concise. Don’t use six words if you can say it in four. 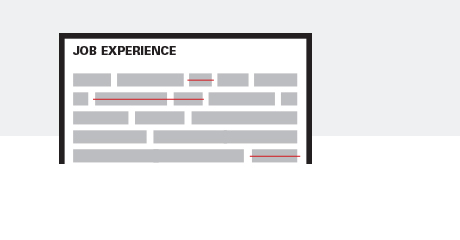 Limit each paragraph to six lines at the most, and don’t create long “laundry lists” of bullet points. 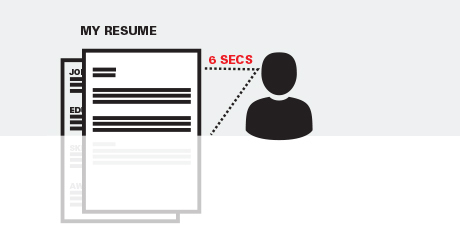 The acid test of your resumé’s “readability factor” is how easily someone can scan it and quickly identify the most important information that will get you noticed. 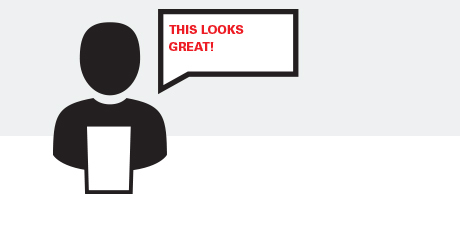 Ask your friend, classmate, professor and/or family to provide feedback on your resumé’s readability factor before submitting it for a potential job opportunity. Attention to detail is important, from making sure there are no typos and double-checking that your contact information is correct to the kind of paper you choose. 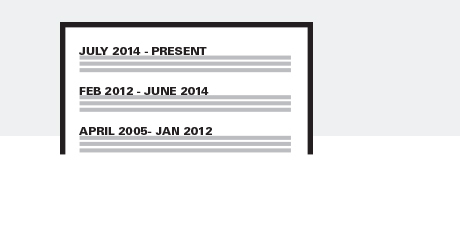 A well-written resumé on premium paper shows that you care about doing things right. 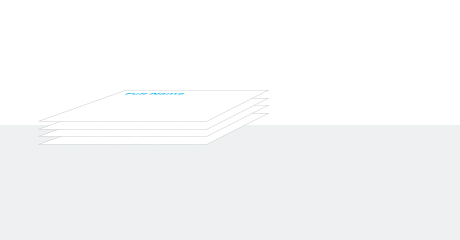 Pick a premium paper for printing your resumé and be sure to print out a few extra copies in case your interviewer needs to share it with others. Hammermill has partnered with TheLadders.com to bring you Resumé Tips that can help you present yourself professionally and improve your chances of landing the job you want.